Stream anime episodes online for free, Watch One piece Episode 70 English version online and free episodes. Anime Episode guide One piece Episode 70 English dubbed An Ancient Island! The Shadow Hiding in Little Garden! As the Straw Hats sail toward Little Garden, the Baroque Works officer agents Mr. 3 and his partner Miss Golden Week receive new orders. Finally arriving there, the Straw Hats find the island to be populated by oversized and from pre-historic times stemming animals. 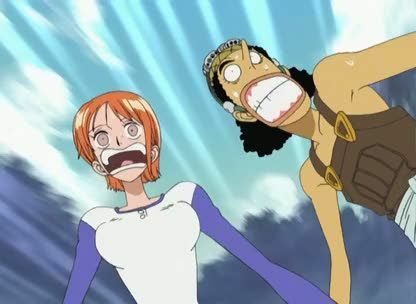 Frightened, Nami and Usopp stay behind on the ship as the others spread out to search the island for food and adventure. Nami remembers having read about the island in a book, but by the time she finds it, it is already too late. A giant approaches through the forest.